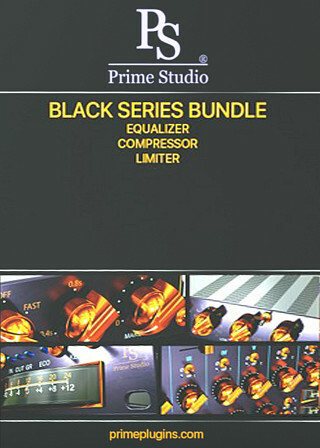 The Prime Studio® Black Series Bundle brings the charismatic sound of an analog equalizer, limiter and compressor to your digital workflow. Based on the latest Core9 technology from Acustica Audio, sidechain and ECO circuitry provide additional flexibility with high-quality sound. The Following End User License Agreement is included with Black Series Bundle. This License is only valid for the individual who has purchased an unopened, new and lawfully made copy of Black Series Bundle from a dealer or distributor authorized by Big Fish Audio.